Hey, where'd you get that scooter? 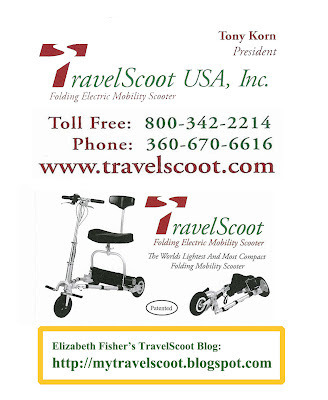 I don't know about you, but I get stopped all the time by people asking about my TravelScoot. Usually I have one of Tony's business cards to give them, but I thought it would also be nice to have something saved on my phone that I could just text or email to them. For those of you in the U.S., if you'd like to have that same capability just save this graphic to your phone. Hi from a TravelScoot clown! I enjoyed looking at your blog and thought your readers might find this fun. I recently received my TravelScoot, just in time for a 4th of July parade in my city. I had signed up for with a group of clowns. 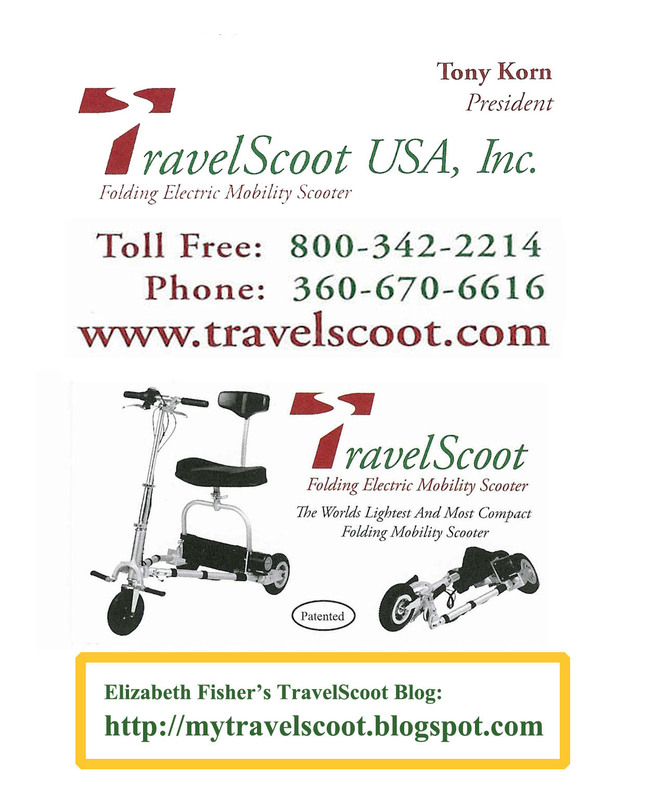 I chose the TravelScoot over my big clunky scooter. It looks like fun! 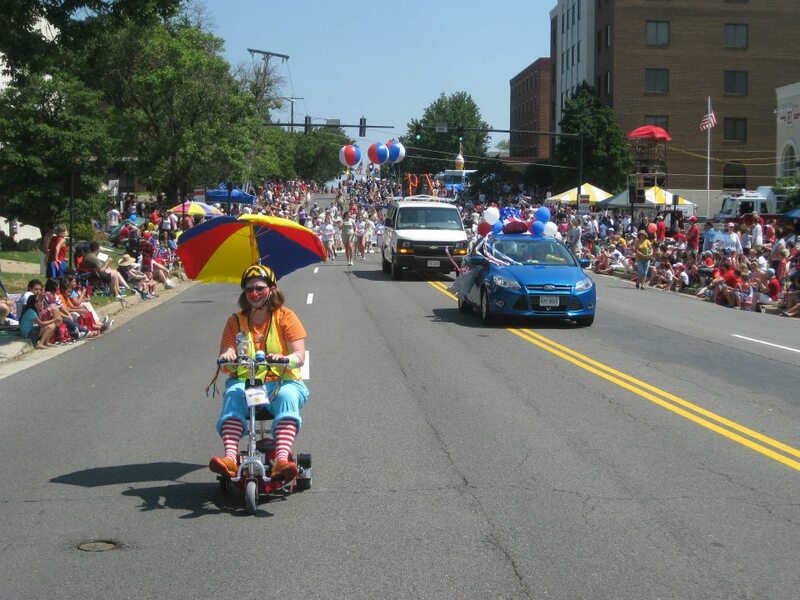 Outfitted with pinwheels and streamers, bells and honkers, and a beach umbrella, the TravelScoot fit right in with the clown brigade. Nobody even guessed it was a mobility scooter. Some kids told me I had "the best ride out there." I think it's great not to feel disabled by mobility impairment, but "super"abled by a vehicle that people admire as something they would like to try.